LoCash isn't just the name of this most amazing band....it's a way of life. It's being true to yourself and never forgetting where you have come from. As for the band they practice this every time they go out and perform. The energy that flows from the stage into the crowd is something you won't experience with any other group. They have a unique sound of country mixed with southern rock. They are truly a must see show!!! They play about 250 shows a year all over the U.S. And they recently released Here Comes Summer which made it into the top 20 on GAC. And have made it into the top 50 on the bill board charts. Their newest song Keep in Mind is set to release on Monday September 20,2010 to the radio. And to Itunes on the 21st. 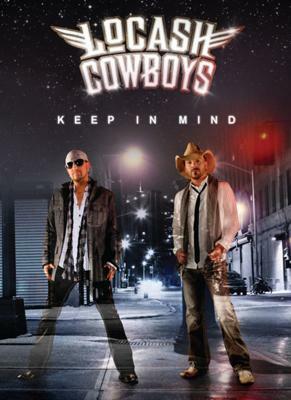 If you haven't heard them go on over to www.locashcowboys.com and take a listen, I promise you won't be disappointed. They can also be found on myspace and facebook. There is also a LoCash Army Street Team on facebook that is open for all to join. Let's make LoCash a household name!!! !